In a new interview with Cosmic Booknews, Supergirl writer Michael Alan Nelson revealed a key piece of information that helps put a lot of the vague hints that he and DC Comics have been giving fans about the new Cyborg Superman into perspective. 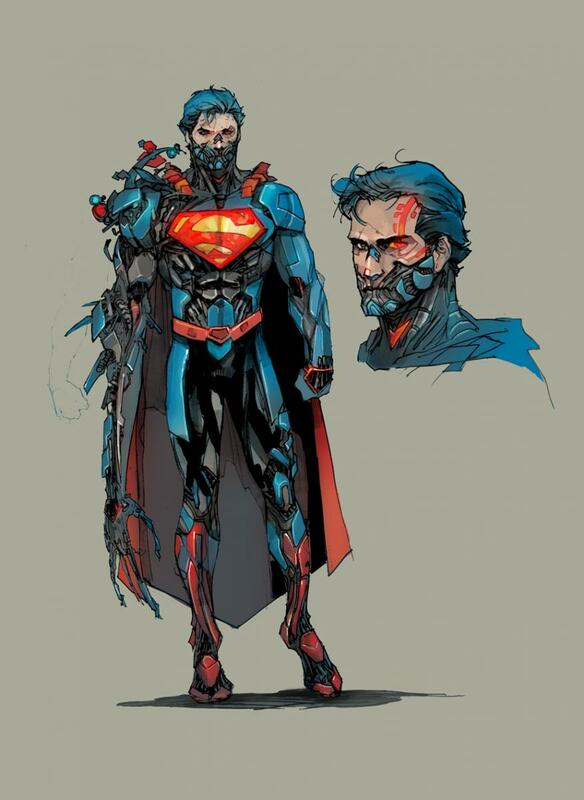 As it turns out, Cyborg Superman--better known in the world before the New 52 (and in Smallville Season Eleven) as Hank Henshaw, is...not Hank Henshaw anymore. That's what he says--"anymore." It's not clear from the interview whether that means Cyborg Superman was Henshaw at one point but the consciousness has been overwritten or whether the world of the New 52 never had a Cyborg Superman before now. Who it is--well, that's a pretty big spoiler for today's issue of Supergirl. "Cyborg Superman is, in a word, unstable. Though he is what some consider the perfect Kryptonian, he has conflated perfection and strength, seeing the latter as the pinnacle of the former. And I don't mean just physical strength. He's fond of asking people what they're willing to do to survive. In fact, I think that's the first question he asked Supergirl when they first met," Nelson said. " Do you have the strength necessary to survive? And in his twisted mind, only those who have the strength to forsake all others to save themselves are 'perfect.' It's his subconscious trying to justify the mistakes he made before he became Cyborg Superman, even though he has no recollection of the man he was. And the biggest difference in the New-52 character, and one that I hope is common knowledge by the time this comes out, is that Cyborg Superman is no longer Hank Henshaw. He's actually Zor-El, Kara's father. Readers will have to wait until they read the Villains Month issue to learn just how he became Cyborg Superman, but that is the single biggest difference between the new and pre-52 character."